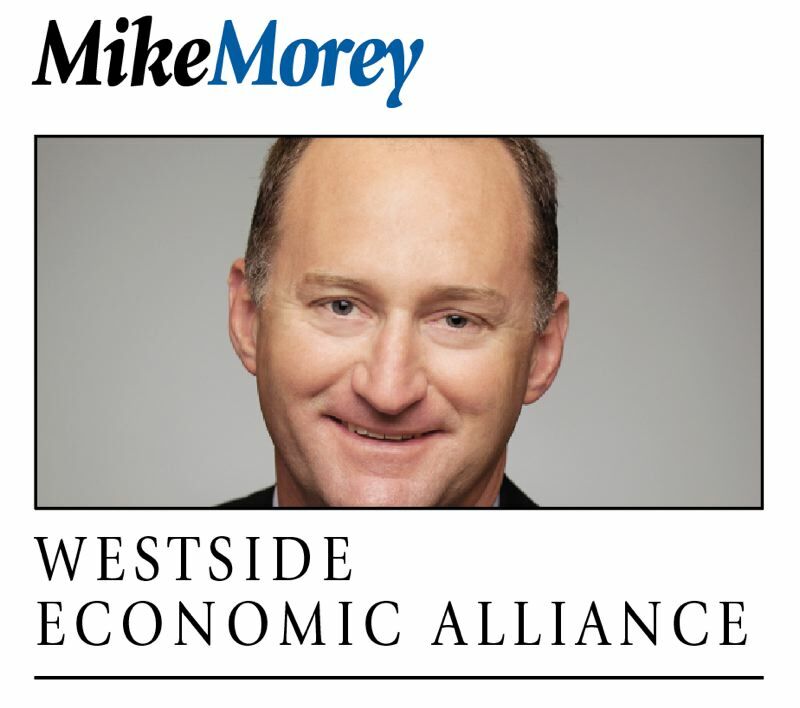 At Westside Economic Alliance (WEA), we work with key leaders from various levels of government and different sizes of businesses. In late August, WEA welcomed Sen. Ron Wyden to our Breakfast Forum stage. Sen. Wyden is no stranger to WEA; he has participated in many events with us over his tenure. However, it has been three years since his last Breakfast Forum with us, and the federal landscape has changed. The Senator provided an overview of federal issues he's been involved with, including tax incentives for first-time home buyers and for the creation of middle-income housing. Wyden said there is a need to focus on middle-income Oregonians and to encourage economic policy that grows the economy. The Senator said, "You cannot have big league economic growth with a little league transportation system." He spoke passionately about the Build America Bonds program, which he would like to see used for investing in our roads, bridges, and transportation system. As Wyden moved into questions from the forum audience, he listened and reflected on topics such as trade, water supply, immigration reform, cyber security, and election security. Wyden talked about the possible weaknesses in election security, including the lack of a paper trail for ballots and the inability for auditing the elections system. He said Oregon's vote-by-mail system provides for election security, and "Oregonians should not have to wait for the rest of the country to catch up." Wyden took several minutes to reflect on the passing of Sen. John McCain. He talked about McCain's personality; his courage in the face of adversity; his willingness to "listen and talk across the aisle;" and how greatly he will be missed. When Wyden talked about McCain, his demeanor was quietly reverent and respectful — you could hear a pin drop in the room. In closing, a very passionate Wyden talked about honoring Sen. McCain and changing the politics in Washington, D.C., by bringing in the "Oregon Way." The "Oregon Way" is known as being collaborative, respectful, and finding common ground. The Senator went further in saying that right here in Washington County we exemplify the "Oregon Way" through our local leadership; it is the goal of Westside Economic Alliance to support our collaborative leadership. At WEA, our mission is to advocate for a healthy regional economy. To do this, we focus on maintaining relationships with our elected leaders at the local, regional, state, and federal levels. WEA works hard to provide opportunities for our members to have access to our elected leaders. On Sept. 27, we will host a forum with the candidates for the Washington County Chair — Metro Councilor Kathryn Harrington and Washington County District 4 Commissioner Bob Terry. Attendees will have the opportunity to listen to the candidates and ask questions of them. On Oct. 25, we will host both Congresswoman Suzanne Bonamici and Congressman Kurt Schrader at a Breakfast Forum. For the past several years, both Bonamici and Schrader have graciously given us their time to discuss their perspective on issues at the federal level. It is particularly informative when they both are on the stage together. Wyden mentioned housing and transportation as key issues he's working on, and these are two issues WEA is working on as well. On Oct. 3, WEA is hosting a conference called "Intersections — housing and transportation," where we will be discussing these two issues at length. We are bringing in two keynote speakers that include the Silicon Valley Leadership Group's Carl Guardino and MZ Strategies' Mariia Zimmerman. WEA is looking forward to more engagement with its members and key leaders on issues where we can do things "the Oregon way," as we look to maintain an economy where we can all flourish together.